I really wish I had a way to adequately describe the weird, warped pop of Anton Barbeau. Yeah, it's power pop of a sort. And if I told you that XTC's Colin Moulding was on a cut on Magic Act you'd expect something up the old Oranges and Lemons way, but, nope. It's odd-er than that. Anton sings with the vocal techniques of a young David Bowie circa-"Starman" and his lyrics are borderline nonsense, albeit somewhat highbrow nonsense in spots. So, yeah, Magic Act is one wild set of tunes. If "Flying Spider" is something close to Robyn Hitchcock's stuff -- and, significantly, Barbeau's worked with Morris Windsor and Andy Metcalfe of Robyn's Egyptians -- then "Milk Churn in the Morning" is more in the style of the riff-riding rock of The Pursuit of Happiness. The music is remarkably accessible in spots; it's just the lyrics that make this a bit out there. The tunes on Magic Act lean into power pop territory and they are largely a bit crunchy and radio-friendly (lyrics not withstanding), however the lovely "Broken in Two" showcases a wonderful Marc Bolan-like vocal performance from Barbeau. "Swindown" reveals a Ray Davies-sense of pop-craft as Anton sings his presumed homage to the home of Andy Partridge. The guy can do variety, you know? All told, the tunes on Magic Act are all uniformly interesting and affecting and wildly inventive in spots. If I can't figure out what the hell Barbeau is going on about, that's okay, I guess. With contributions from Moulding, and the lead singer of The Corner Laughers, Magic Act bridges disparate styles from across the power-pop spectrum. Fans of any of the acts I've referenced in this review would be wise to get on board with this artist. Magic Act is out now. 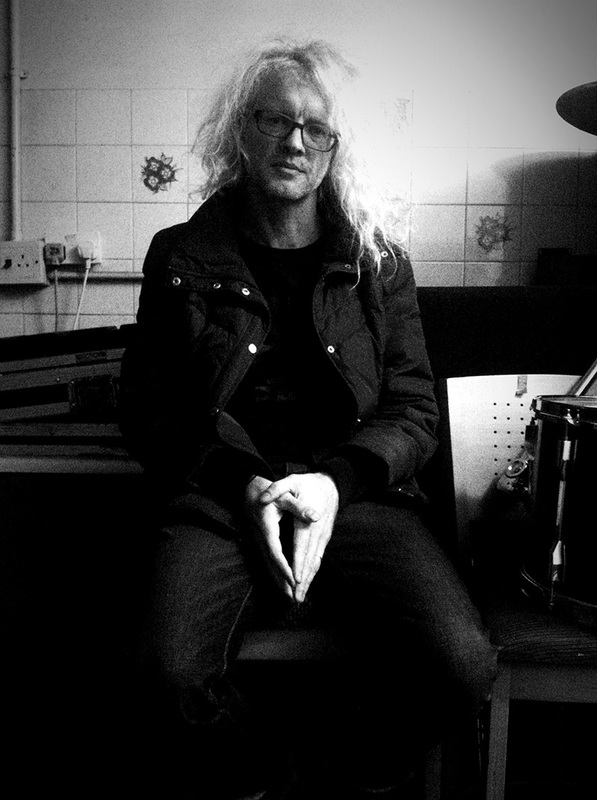 Follow Anton Barbeau and get more details on this magical record via www.AntonBarbeau.com.